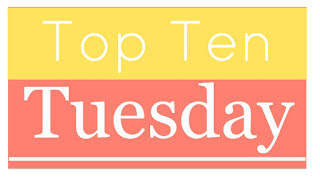 Today's Top Ten Tuesday topic from The Broke and The Bookish is The Top Ten Books Recently Added to My TBR. These are the latest ten that landed on my TBR due to blogger recommendations! 1. 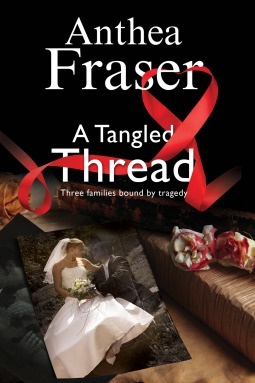 A Tangled Thread: A Family Mystery Set in England and Scotland by Anthea Fraser - It's a family mystery! I can't resist a family mystery with lots of secrets! 2. Carry On by Rainbow Rowell - Last year I really neglected some authors whose books I enjoyed and this year I'd like to fix that and Rowell is high on the list. 3. The Tiare on the Terrace by Kristen Kittscher - This is a Middle Grade adventure/mystery novel which I never can resist. Middle Grade is a genre that got sadly neglected in 2015 and I'm hoping to fix that! 4. To Scotland with Love by Patience Griffin - It's a quilt shop in Scotland! I'm not sure why I'm just stumbling on this series. 5. Rain Dogs: A Detective Sean Duffy Novel by Adrian McKinty - I hadn't heard of this police procedural before I stumbled on a review of this book but it sounds like something I'd enjoy. 6. The Night Parade by Kathryn Tanquary - Did I mention I've been neglecting Middle Grade? This is another one I'm really looking forward to reading. Plus with the Japanese setting and supernatural elements it sounds a bit outside my usual reading and I wanting to stretch my comfort zone a bit this year. 7. How to Seduce a Scot by Maya Banks - I sadly neglected Historical Romance last year as well and this is a new book by a new-to-me author and I can't wait to give it a try! 8. A Study in Charlotte by Brittany Cavallaro - I love the Sherlock Holmes spin offs and this one about Sherlock Holmes' great-granddaughter and Watson's great-granddaughter sounds wonderful. 9. To Brew or Not to Brew by Joyce Tremel - A cozy mystery about a brewery? Cannot resist! 10. Along the Infinite Sea by Beatriz Williams - This author has been on my radar for quite awhile but this was the book that finally landed on my TBR. What books have you just added to your TBR? I have A Tangled Thread and Rain Dogs on my TBR list also. I need to officially add them to Goodreads. My line up is Broken Harbor by Tana French, Make Me by Lee Child and a Chris Pavone novel I just won. Tana French is an author I'm really wanting to try. I've heard amazing things about her books. I haven't read Lee Child in years! I need to fix that. I just read Carry One not too long ago an really likes it I also can't wait for A Study in Charlotte. Great list!! A Study in Charlotte looks so good! I can't wait! I'm really looking forward to reading Night Paradise. It looks great and definitely on the Rowell. I must get reading! I've wanted to read Maya Bank's Scottish romances for a long time. I've heard great things about them! I'm just discovering Maya Banks and I'm really looking forward to reading her books! I think A Study In Charlotte looks good. And, of course, I've been saying that I want to read Beatriz Williams books - have not as yet. The Anthea Fraser book is appealing as well. Enjoy! Thanks! I'm really looking forward to reading all of these! Maya Banks historical romances are amazing! I was hesitant for a long time, but oh my gosh, they are soooo good! I'm pretty sure Maya Banks is your fault! I've had A Study in Charlotte on my TBR for a bit and I can't wait to read it. It looks fabulous! I can't wait to read it! Oh I need to get A Study in Charlotte on my list too! 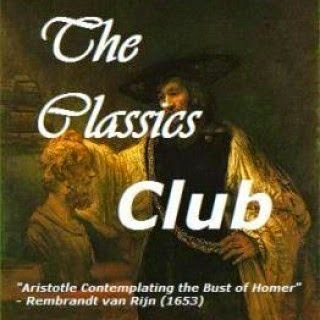 I haven't read that Beatriz Williams- but I have really liked her other books. Her new one with Lauren Willig and Karen White was great! I'm dying to read her book with Willig and White! It looks fantastic! 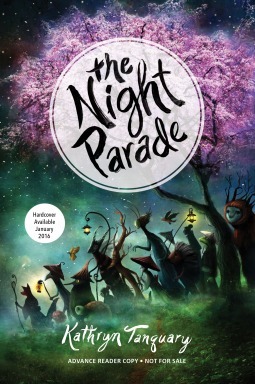 I haven't heard of any of these, but the cover of The Night Parade is fabulous! I'm really excited about that one. I can't resist the cover! These all sound fantastic! I've got A Study in Charlotte and To Brew or Not to Brew on my TBR already, but I will be adding the majority of these to my list as well. Especially the mysteries, they are right up my alley. Thanks! I'm in a mystery kind of mood right now. I'm especially excited about A Study in Charlotte. I hope you enjoy The Night Parade, Katherine. Along the Infinite Sea is one I would like to read. I haven't yet read anything by Beatriz Williams, but I want to. Rain Dogs is new to me, but it sounds right up my alley. I've been curious about A Study in Charlotte. So many good sounding books! Beatriz Williams is an author I'm really wanting to read. All her books just sound fantastic. Along the Infinite Sea is a great read. I haven't read Rainbow Rowell but she is very much on my radar to do so. I didn't realise the Patience Griffin series had a quilt shop - so onto my list it goes! I can't resist a quilt shop which is kind of strange since I can't sew! Also need to read Carry On and A Study In Charlotte sounds really good and has been put on my list. A Study in Charlotte is really high on my list. I can't wait to get my hands on a copy! Carry on and The Night Parade both look so good. Great list! It's been a while since I've read a cozy, and doesn't a cozy about a brewery sound fun?! I'm in a cozy kind of mood right now! I'm not sure I've ever read a cozy set in a brewery! These all look very tempting...from regular mysteries to cozies...and then some. I have also been wanting to read something by Beatriz Williams. Beatriz Williams is an author I'm really wanting to read. I don't think I've heard anything negative about any of her books. Wait there's a new Shalvis? How did I miss that?? I really want to read A Study in Charlotte as well, can't have enough Sherlock. You definitely can't have enough Sherlock! I have so many Rainbow Rowell books to read. I really need to read Fangirl this year. The Night Parade sounds really good. You always pick such interesting books. Looking forward to your reviews! Thanks so much! I'm really looking forward to reading more Rainbow Rowell this year! I want to read Landline. You are responsible for The Night Parade! I'm really looking forward to it! You have me adding so many books to my wish list, Katherine! I'm reading through some of Edward Marston's Railroad Detective series. Wonderful mysteries about murder and mayhem on the trains in England in the 1850s. Lots of books with a Scottish theme/connection! Have fun reading! I wanted to get my hands on A Study in Charlotte, but alas that didn't happen. So I will wait for the release. I hope you love it. Anything to do with Sherlock is a buzz word for me as well. I still need to read Fangirl by Rowell. Is Carry On a sequel sort of? I've seen the Night Parade around, but not sure if I want to read it or not. Hope you're able to get to these books!